This article is about the animated television series. For the 1980s Canadian children's band, see The Rugrats (band). Rugrat is also a slang term for toddler. Rugrats is an American animated children's television series created by Arlene Klasky, Gábor Csupó, and Paul Germain for Nickelodeon. The show focuses on a group of toddlers, most prominently Tommy, Chuckie, twins Phil and Lil, and Angelica, and their day-to-day lives, usually involving life experiences that become much greater adventures in the imaginations of the main characters. The series premiered on August 11, 1991, as the second Nicktoon—after Doug and before The Ren & Stimpy Show. Production was initially halted in 1993 after 65 episodes spanning three seasons, with the last episode airing on May 22, 1994. From 1995 to 1996, the only new episodes broadcast were "A Rugrats Passover" and "A Rugrats Chanukah", two Jewish-themed episodes that received critical acclaim; during this time, after the end of the show's production run, Rugrats began to receive a boost in ratings and popularity due to constant reruns on Nickelodeon. In 1996, Klasky Csupo Animation began producing new episodes, and the show's fourth season began in 1997. As a result of the show's popularity, a series of theatrical films were released over the next five years: The Rugrats Movie, which introduced Tommy's younger brother Dil, was released in 1998; Rugrats in Paris: The Movie, which introduced Kimi, Kira, and Fifi, was released in 2000; and Rugrats Go Wild, a crossover film with another Klasky Csupo series, The Wild Thornberrys, was released in 2003. The final TV episode aired on August 1, 2004, bringing the series to a total of 172 episodes over nine seasons. The 13-year run (with the 2-year break) ties Rugrats with King of the Hill, American Dad!, Robot Chicken, and Squidbillies as one of the eighth longest-running American animated television series. On July 21, 2001, Nickelodeon broadcast the made-for-TV special "All Growed Up" to celebrate the 10th anniversary of the series premiere. The special was a pilot for the Rugrats spin-off series All Grown Up!, which aired from 2003 to 2008 as it chronicles the lives of the babies and their parents after they age 10 years. Another spin-off series, Rugrats Pre-School Daze, aired on TV in 2008 but had only four episodes after Nickelodeon decided to focus on the first spin-off series. Two direct-to-video specials were released in 2005 and 2006 under the title Rugrats: Tales from the Crib. Tie-in media for the series include video games, comics, toys, and various other merchandise. Rugrats gained over 20 awards during its 13-year run, including 4 Daytime Emmy Awards, 6 Kids' Choice Awards, and its own star on the Hollywood Walk of Fame. The series garnered high ratings on Nickelodeon and was the network's top-rated show from 1995 to 2001. It was Nickelodeon's longest-running cartoon for 8 years, until SpongeBob SquarePants aired its 173rd episode in 2012. As of 2019, it is now Nickelodeon's third longest-running animated series, behind The Fairly OddParents and SpongeBob. On July 16, 2018, Nickelodeon announced a revival of the series to be executive produced by the original creative team of Klasky, Csupó, and Germain. It was further announced that Paramount Pictures had greenlit a live-action/CGI hybrid feature film, currently set to premiere in 2021. Rugrats sports a vast array of secondary and tertiary characters. The series focuses on the experiences of a courageous, adventurous one-year-old baby named Tommy Pickles and his group of playmates – several other infants and toddlers, some of whom debuted later in the series. Chuckie, Tommy's bespectacled, red-headed, insecure, cowardly two-year-old best friend; the twins Phil and Lil, noted for their revolting eccentricities and love of digging for and eating insects and earthworms; Tommy's baby brother Dil (who was born in The Rugrats Movie); Angelica, Tommy and Dil's outrageously spoiled and selfish three-year-old cousin who is a "rival" of his friends and the main antagonist of the program; Kimi, Chuckie's adventurous, playful stepsister (introduced in Rugrats in Paris) (later just his sister after adoption); and Susie, a good-hearted neighbor of the Pickles family, Angelica's schoolmate, friend, and "rival", who is better liked by the younger children and far more reliable than Angelica. The other characters depicted in Rugrats include the babies' parents, who are portrayed as often being easily distracted, leaving their young children free to emancipate themselves from restraints such as playpens or strollers and venturing out to explore. Such adult figures include Didi and Stu Pickles, Tommy and Dil's mother and father. Didi is a sweet, educated and loving mother who decides to return to college in one episode. Stu is an often-feckless toy inventor whose designs have been known to either fail or break. Other parents include Chas Finster, Chuckie's stereotypically nerdy and mild-mannered father, a widower who later remarries; Kira, Chuckie's sweet-natured, kind and understanding stepmother (later just his mother after adoption) whom Chas marries in Rugrats in Paris; Drew Pickles, Angelica's indulgent and doting father who pampers his daughter to a ridiculous degree; Charlotte Pickles, Angelica's workaholic mother who overindulges her daughter equally if often seen talking on her cell phone with an employee of hers named Jonathan, although neither of them afraid to put their foot down when they feel she is getting out of line; Betty DeVille, Phil and Lil's kind but boisterous feminist mother; and Howard DeVille, the twins' mild-mannered and soft-spoken father. Susie's parents and elder siblings also make appearances in some episodes, and another major adult character includes Lou Pickles, Drew and Stu's father and Tommy, Angelica, and Dil's grandfather; an elderly widower who later remarries with an active woman named Lulu. Didi's parents, Jewish immigrants named Boris and Minka, also appear numerous times and serve as important characters and are often seen bickering. Rugrats also has animal characters, including the Pickles family dog, Spike, who played important roles in some episodes, and Angelica's pet cat Fluffy. The show functions under a translation convention for baby talk, which is presented as essentially a separate language which only other babies can understand. The babies' dialogue is almost universally translated for viewers into comprehensible English dialogue, but adults in the series cannot understand them. One example of this dissonance is when Tommy says "Reptar! ", (the title character of a popular in-show children's franchise) but his mother then responds that she heard him say "riff-raff", and that she hopes he's getting close to speaking full words, indicating that adult characters still hear the dialogue of baby characters as babbling. The translated dialogue of the babies is still presented as infantile English, reflecting their limited understanding of the world. Another major point of this plot convention is that toddlers who have learned to speak the adult language can still understand baby talk because they are at a transitional age between the two. Angelica and Susie can understand what the baby characters are saying but can also communicate with adults, though they never outright reveal to the adults that they can comprehend complex messages from the babies. Very young newborns, such as Tommy's little brother, cannot yet communicate even with baby talk, although Dil has a very limited vocabulary consisting of the words "poopy" and "mine" which are perhaps the only words he is capable of saying. The older babies, such as Tommy and Chuckie, are able to interpret what Dil is trying to communicate although, due to their own age, it is difficult. When the older babies do figure out what Dil wants or needs, it usually involves changing his diaper or giving him an object—to play with or just to experience the joy of holding it. Many of the adventures the babies find themselves in take place at Tommy's house; the parents usually rely on Didi, Stu, or Grandpa Lou to babysit the kids while they run errands. Their address is revealed on an invoice in "Tommy's First Birthday" (season one, 1991) as 1258 N. Highland, the original address of Klasky Csupo in Los Angeles. However, an unnamed specific city or state is never mentioned in the show. Several indicators, such as a state flag at a post office, license plate designs on the vehicles, and various trips to the Grand Canyon, Las Vegas, and the beach, place the characters somewhere in southern California. The location is also hinted at during "Little Dude" (season one, 1991) when Didi, who is a teacher, takes Tommy to her class at Eucaipah High School, referencing the city of Yucaipa, California. It has been implied that this ambiguity was done intentionally to help give the impression of seeing the world through the eyes of the babies, who wouldn't understand the concept of location. 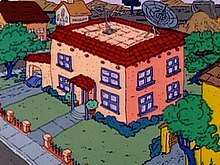 The DeVilles live next door to the Pickles and, early in the series, the Carmichaels move in across the street. Rugrats was formed by the then-husband-and-wife duo of Gábor Csupó and Arlene Klasky, along with Paul Germain in 1989. Klasky Csupo had a major animation firm at the time which also provided services for commercials and music videos. Klasky, Csupó, and Germain were also animating The Simpsons at the time, which they would continue to do until 1992. The trio decided to create their own series in reaction to a proclamation by the children's cable network Nickelodeon that they were to launch their own line of animated shows, which would be later called Nicktoons. With the comedic stimulation branching from the antics of Klasky and Csupó's infant children and also pulling inspiration from The Beatles, the 6​1⁄2–minute pilot episode, "Tommy Pickles and the Great White Thing" (never to be aired), went into production. Peter Chung, along with Klasky and Csupó, co-designed the characters and directed the series pilot, "Tommy Pickles and the Great White Thing", as well as the opening sequence. In a Decider article, Chung said, "He [Gábor] wanted the babies to be 'strange' instead of 'cute.'" The production was completed in 1990 and they submitted it to Nickelodeon, who tested it with an audience of children. The feedback for the pilot episode was primarily positive. With that, the series went into production. Chuckie and Angelica were added as characters. Paul Germain felt that the series needed a bully. Angelica was based on a bully in Germain's childhood, who was a girl. In addition to that, it was Germain who decided that Angelica would be a spoiled brat. Klasky initially did not like Angelica Pickles and also protested the character's actions in episodes like "Barbecue Story", where she throws Tommy's ball over the fence. In a New Yorker article, Klasky said, "I think she's a bully. I never liked Angelica." She never fully approved of Angelica's character development. Her bullying caused Klasky to disdain her. Angelica started to become a problem for some of the Rugrats staff. In some instances, her voice actress, Cheryl Chase, had trouble portraying a mean Angelica. To help Chase out, Steve Viksen, one of the writers, would mention that Angelica was the series' J. R. Ewing. After the episode "The Trial", Klasky complained that the Rugrats were starting to act too old for their age. Csupó often acted as a mediator in arguments between Klasky and the writers, with the writers often winning. Some of the offscreen tensions ultimately found their way into the scripts and, naturally, into the show. In 1994, before Nick premiered the last of the original 65, production of new episodes went on hiatus, and most of the Rugrats writing team left Klasky-Csupo. After the first-run days were over, Nickelodeon had enough episodes to show every day, and did just that, scheduling the show in the early evening, when both kids and parents would be watching, among multiple other times in the day; in 1996, Rugrats episodes had aired 655 times over the course of the calendar year, and despite (or perhaps because of) the saturation it remained one of cable television's most-watched series that year. The show resumed production in 1996. However, the tensions between Klasky-Csupo and their former writers still existed. After The Rugrats Movie and seeing the "new" Angelica in the film, Klasky changed her tune: "I think she's great for the show; I love Angelica." Rugrats was Nickelodeon's second Nicktoon, debuting on the same day as Doug (which premiered before it) and The Ren & Stimpy Show (which debuted after). The first run of the series was produced from 1990 to 1993 before production went on a hiatus (episodes that had not yet been released at that point continued to be released through 1994). Between 1995 and 1996, only two Jewish-themed specials premiered, and the rest of the series aired in reruns. Production on new episodes restarted in 1996 and the show aired in Nickelodeon's SNICK block from 1997 to 2001. From 1994 until 2012, Rugrats was Nickelodeon's longest-running Nicktoon, with 172 episodes produced across its 13-year run. It was surpassed in 2012 by SpongeBob SquarePants with the episode "Squiditis/Demolition Doofus" that year. On July 21, 2001, Rugrats celebrated its 10-year anniversary; the special/TV movie "All Growed Up" was produced for the occasion. After the show, a special retrospective look-back aired, entitled "Rugrats: Still Babies After All These Years". It was narrated by Amanda Bynes. Nickelodeon approved of its ratings and popularity so much, they eventually commissioned a full series, All Grown Up, which ran from 2003 to 2008. Rugrats ended in 2004, along with fellow Nicktoons Hey Arnold!, The Wild Thornberrys, and Rocket Power. After the run, two fairytale-themed direct-to-video films based on the original series, under the title Rugrats: Tales from the Crib, were produced and then released separately in 2005 and 2006. When production was put on hiatus the series was put on reruns both on Nick Jr. (the block) and regular Nickelodeon. Rugrats was also on Noggin (now Nick Jr.) at 1:00 am and 1:30 am. As of January 2, 2005, Rugrats was pulled off the network and 64 Zoo Lane took its place, but it came back on February 15, 2014, and can be seen after Peppa Pig at 3:30 pm. Through its full run, Rugrats occupied several main voice actors. E. G. Daily provided the voice of Tommy Pickles, except in the unaired pilot where Tami Holbrook provided the voice; Christine Cavanaugh was the original voice of Chuckie Finster, but left the show for personal reasons and was subsequently replaced by Nancy Cartwright in 2002. The fraternal twins, Phil and Lil (as well as their mother, Betty) were voiced by Kath Soucie; Dil Pickles and Timmy McNulty were voiced by Tara Strong. Cheryl Chase initially auditioned for the role of Tommy, but was passed up. When the show came to series, she was brought on board to be cast as the voice of Angelica Pickles. Dionne Quan was the voice of Kimi Finster. Susie was primarily voiced by Cree Summer, though in two episodes where she could not be in attendance E. G. Daily filled in. Other regular voice actors included Melanie Chartoff as Didi Pickles, Jack Riley as Stu Pickles, Tress MacNeille as Charlotte Pickles, and Michael Bell as Drew Pickles and Chas Finster. David Doyle provided the voice of Grandpa Lou Pickles until his death in 1997, when Joe Alaskey took over until the end of the series. In 2000, Debbie Reynolds joined the cast as Lulu Pickles, Lou's second wife, and remained until the series' end. Episodes took up to a year in advance to produce. First, the story had to get written and then approved. The next phase consisted of voice recording, storyboarding, pre-eliminating animation, overseas production, overseas delivery, followed by editing and polishing. All of that had to happen even before Klasky-Csupo sent the master tapes to Nick. In addition, fine animation took time to make. During the first six seasons of Rugrats, shows were primarily divided into two eleven-minute episodes. After the second movie, during season seven, Rugrats made a change with a different format that consisted of three episodes per show, though it returned to its original two-episode-per-show format in the final two seasons. Rugrats visualizes ordinary, everyday activities through the eyes of a group of toddlers. Using their imaginations, the babies transform routine tasks into surprising adventures. The show plays with baby talk, having the group constantly mispronounce words and use improper grammar. Challenges often emerge because the babies misinterpret the adults, usually caused by Angelica's deceptive translations. The grown-ups of Rugrats are simultaneously quirky, over-cautious, and oblivious. The series portrays adults as mysterious eccentrics. Episodes usually center on a moral lesson that the babies learn during their imaginative explorations. Nickelodeon and Amazon.com have struck a deal to produce DVDs of new and old Nickelodeon shows, through the CreateSpace service. Using a concept similar to print on demand, Amazon made the discs, cover art, and disc art itself. The first and second seasons of Rugrats were released on June 2, 2009, along with the first and second seasons of The Fairly OddParents (although the Rugrats Season 2 was released in a "Best of" collection). Season 3 and 4 were released on September 23, 2011, through the CreateSpace program. Season 5 was released shortly after on October 4. On October 6, 2011, the complete Seasons 6–8 were released through CreateSpace, and Season 9 was released in a "Best of" collection. Amazon re-released seasons 2 & 9 as complete seasons on May 9, 2014. As of February 2017, the Amazon.com releases have been discontinued. In May 2017, Nickelodeon and Paramount Home Media Distribution released Seasons 1 and 2 on DVD. In February 2018, Nickelodeon and Paramount Home Media Distribution released Seasons 3 and 4 on DVD. In Australia, all seasons have been released by Beyond Home Entertainment. Decade in Diapers 11 0 September 24, 2002 "Angelica Orders Out", "The First Cut", "Reptar on Ice", "No Bones About It", "Be My Valentine", "Chuckie vs. The Potty", "Doctor Susie", "Vacation", "Finsterella", "Bigger Than Life", and "Tommy Pickles and the Great White Thing"
Mysteries 8 January 28, 2003 "Murmur on the Ornery Express", "The Fun Way Day", "Trading Phil", "Grandpa's Date", "The Legend of Satchmo", "Grandpa's Teeth", "Visitors from Outer Space", and "Grandpa Moves Out"
Holiday Celebration 12 August 31, 2004 Disc 1: "Curse of the Werewuff", "Ghost Story", "Aunt Miriam", "Sleep Trouble", "Spike's Nightscare"
Disc 2: "Babies in Toyland", "The Turkey Who Came To Dinner", "Kwanzaa", "The Santa Experience", and "Chanukah"
Nick Picks Vol. 1 1 May 24, 2005 "Finsterella"
Nick Picks Vol. 2 October 18, 2005 "All Growed Up"
Nick Picks Holiday September 26, 2006 "The Santa Experience"
The Trilogy Movie Collection 0 3 March 15, 2011 Disc 1: "The Rugrats Movie" Disc 2: "Rugrats in Paris: The Movie" Disc 3: "Rugrats Go Wild"
Halloween 5 0 September 20, 2011 This release is a reissue of the first disc from the Holiday Celebration DVD set. Outdoor Shenanigans July 8, 2014 "Discover America", "Barbeque Story", "Moose Country", "Sand Ho! ", and "The Gold Rush"
Reptar Returns 3 "Runaway Reptar", "Reptar 2010", and "The Big Showdown"
The series continued to air in reruns on Nickelodeon until December 31, 2007, although the Christmas special "Babies in Toyland" continued to air every Christmas through 2012. The series returned to Nick from December 27, 2010 until mid 2011, and again for a one off marathon coinciding with the Super Bowl on February 3, 2013. After the Super Bowl marathon, Nickelodeon aired reruns in the 6 and 6:30am hours on weekends until April 28, 2013. The series made its next return 5 years after that by airing a couple episodes of the Rugrats on the main Nick channel starting on Saturday, February 10th, 2018 and leading up to the airing of the Rugrats Valentine's Day special on Wednesday, February 14th. "Rugrats Chanukah" aired on December 3rd, 2018. Since its debut in 1991, Rugrats has generally received positive reviews from critics and fans. In a 1995 interview, Steven Spielberg (who, at the time, was producing several competing animated series for Warner Bros.) referred to the show as one of several shows that were the best children's programming at the time. Spielberg described Rugrats as "sort of a TV Peanuts of our time". It was named the 92nd-best animated series by IGN. Rugrats was also considered a strong point in Nickelodeon's rise in the 1990s. In a press release celebrating the show's 10th anniversary, Cyma Zarghami stated, "During the past decade, 'Rugrats' has evolved from a ratings powerhouse, being the number one children's show on TV, to pop icon status. It has secured a place in the hearts of both kids and adults, who see it from their own point of view". According to Nickelodeon producers, this show made them the number-one cable channel in the 1990s. Jeff Jarvis reviewed Rugrats and stated, "When The Simpsons was a segment on The Tracey Ullman Show, it was just a belch joke with hip pretensions. As a series, it grew flesh and guts. It was my favorite cartoon... until I discovered Nickelodeon's Rugrats, a sardonic, sly, kid's eye view of the world that skewers thirty-something parents and Cosby kids." In 2017, James Charisma of Paste (magazine) ranked the show's opening sequence #11 on a list of The 75 Best TV Title Sequences of All Time. Rugrats, which at the time had moderately high ratings, was scheduled to air 65 episodes as Nickelodeon felt that it had enough reruns for a few years, putting production on a hiatus in 1993. Production of Rugrats resumed in 1996 with three specials, and followed with new episodes airing by 1997. When Rugrats debuted in 1991, it was not as popular as it would later become. When production went on a hiatus in 1993, Nick began showing Rugrats repeats every day. More people began to take notice of the show, with ratings and popularity for Rugrats and Nick rising. From 1995 to 2000, it was the highest-rated show on Nickelodeon and the highest rated kids' show. The show experienced a wide diverse audience consisting of kids, teenagers and adults alike. Rugrats was successful in receiving an average of 26.7 million viewers every week: 14.7 million kids, 3.2 million teens, and 8.8 million adults. In addition, Rugrats was seen internationally in over 76 countries. It was the only one of the three original Nicktoons that continued in the 2000s and had its own spin-off. While the other Nicktoons were popular during their run, Doug would later slip out of Nick's hands and into Disney's; and Ren and Stimpy would crash and burn in a creative rights dispute (only to return several years later in a much raunchier version on another network). During its run, Rugrats was enjoyed by a number of famous stars including Alexa Vega, Daryl Sabara, Amanda Bynes, Aaron Carter, Ray Romano, Nivea, and Bow Wow. Rugrats was noteworthy among contemporary children's television for depicting observant, identifiable Jewish families. Jewish and Christian religious groups gave the show high praises for their special holiday episodes. Nonetheless, at one point the Anti-Defamation League and The Washington Post editorial page castigated the series for its depiction of Tommy Pickles' maternal grandparents, accusing their character designs of resembling Nazi-era depictions of Jews. The Rugrats received a star on the Hollywood Walk of Fame in a ceremony on June 28, 2001, commemorating the show's 10th anniversary. On June 28, 2001, in commemoration of their tenth anniversary, Rugrats received a star on the fabled Hollywood Walk of Fame, making it Nickelodeon's first (and to date, only) series to receive a star. It was placed at 6600 W. Hollywood Blvd., near Cherokee Ave., outside a toy and costume shop. In the October 2001 issue of Wizard Magazine, a leading magazine for comic book fans, they released the results of the "100 Greatest Toons ever", as selected by their readers; Rugrats ranked at No. 35. Three other Nicktoons—SpongeBob SquarePants, Invader Zim, and Ren and Stimpy—also placed on the list. In a list of TV Land's "The 2000 Best Things About Television", ranking the all-time TV shows, channels, commercials, people, catch phrases, etc., Rugrats is ranked #699. Angelica Pickles placed seventh in TV Guide's list of "Top 50 Greatest Cartoon Characters of All Time" in 2002. On September 24, 2013, in honor of TV Guide's 60th anniversary, Rugrats earned a spot on their "60 Greatest Cartoons of All Time" list. In 1998, The Rugrats Movie was released, which introduced baby Dil, Tommy's little brother, to the show. Its worldwide gross was $140,894,675, making it a box office success considering its modest $24 million budget, though it received mixed reviews from critics. In 2000 a sequel, Rugrats in Paris: The Movie, was released, with three new characters introduced, Kimi, Kira, and Fifi. Kimi would become Chuckie's sister and Kira would become his new mother, after marrying his father. Fifi would become Spike's new mate and Chuckie's new dog. It too was a box office success and also received a more positive critical reception. In 2003, Rugrats Go Wild was released. It was a crossover between the Rugrats and The Wild Thornberrys. It was the least successful Rugrats film both critically and commercially. The Rugrats film trilogy has grossed $299.6 million making it the 25th highest-grossing animated film series of all time. Rugrats Pre-School Daze, also known as Angelica and Susie's School Daze, is a spin-off that follows revolves around Angelica Pickles and Susie Carmichael as preschool students. Arlene Klasky and Gábor Csupó were its creators and executive producers. It was announced in 2001 as the first spin-off for Rugrats, and initially received a 13-episode order. Even though it was reportedly a "highly-anticipated" part of the March 2002 upfront presentation, the show was reduced to four television specials. This decision was reached after Nickelodeon shifted its focus to the All Grown Up! spin-off following the rating success of "All Growed Up". Rugrats Pre-School Daze was first shown in the United States between November 2008 and December 2008. The series carried a TV-Y parental rating, meaning that it was judged as "designed to be appropriate for all children". In 2005, Paramount Home Entertainment released all fours episodes of Rugrats Pre-School Daze on the DVDs for the Rugrats: Tales from the Crib movies. The first two were released on the Snow White DVD, while the last two were on the one for Three Jacks and a Beanstalk. The series was once available on the iTunes Store and Amazon Instant Video, but the episodes were later removed from both platforms. It is currently unavailable on any online service. Variety's Brian Steinberg felt that the show's concept could be retooled as part of a Rugrats reboot, where the baby protagonists would be shown in preschool and Angelica in kindergarten. In 2001, a spin-off centered on Susie Carmichael and her family was also proposed. It would have focused on the Carmichaels moving to Atlanta, Georgia, to help their grandmother run the family restaurant. From 1998 to 2003, Nick produced a Rugrats comic strip, which was distributed through Creators Syndicate. Initially written by show-writer Scott Gray and drawn by comic book artist Steve Crespo, with Rob Armstrong as editor. Will Blyberg came on board shortly after as inker. By the end of '98, Lee Nordling, who had joined as a contributing gag writer, took over as editor. Nordling hired extra writers, including Gordon Kent, Scott Roberts, Chuck Kim, J. Torres, Marc Bilgrey, and John Zakour, as well as new artists including Gary Fields, Tim Harkins, Vince Giaranno, and Scott Roberts. Stu Chaifetz colored the Sunday strips. The Rugrats strip started out in many papers, but as often happens with spin-off strips, soon slowed down. It is still seen in some papers in re-runs. Two paperback collections were published by Andrews McMeel It's a Jungle-Gym Out There and A Baby's Work Is Never Done. During this time, Nickelodeon also published 30 issues of an all Rugrats comic magazine. Most of these were edited by Frank Pittarese and Dave Roman, and featured stories and art by the comic strip creators and others. The last nine issues featured cover art by Scott Roberts, who wrote and drew many of the stories. Other writers included Roman, Chris Duffy, Patrick M. O'Connell, Joyce Mann, and Jim Spivey. Other artists included Joe Staton and Ernie Colón. The magazine also included short stories, many by Pittarese, and games, as well as reprints from an earlier, UK produced Rugrats comic. Nick produced a special, 50-page comic magazine retelling of the film Rugrats in Paris, edited by Pittarese and Roman, written by Scott Gray, pencils by Scott Roberts, and inks by Adam DeKraker. On October 18, 2017, Boom! Studios began publishing a new Rugrats comic book series. Nineteen video games based on the series have been released: Rugrats: Scavenger Hunt for Nintendo 64; Rugrats: Search for Reptar and Rugrats: Studio Tour for PlayStation, Rugrats: Totally Angelica for the PlayStation and Game Boy Color; Rugrats: Time Travelers and The Rugrats Movie for Game Boy Color; Rugrats in Paris: The Movie for Nintendo 64, PlayStation, Game Boy Color, and PC CD Rom; Rugrats: Royal Ransom for PlayStation 2 and Nintendo GameCube; Rugrats: Totally Angelica Boredom Busters, All Growed Up, Rugrats Activity Challenge, Rugrats Adventure Game, Rugrats Munchin Land, and The Rugrats Mystery Adventures for PC CD Rom; Rugrats Go Wild for PC CD Rom and Game Boy Advance; Rugrats: I Gotta Go Party, Rugrats: Castle Capers, and All Grown Up! : Express Yourself for Game Boy Advance; and Rugrats Food Fight for Mobile phone. Tommy and Angelica appear as guest characters in Rocket Power: Team Rocket Rescue. They appear again as playable characters in Nickelodeon Party Blast and Nicktoons Racing. Tommy later appears in Nicktoons Basketball in his All Grown Up! form. Rugrats characters make non-playable appearances in Nicktoons: Attack of the Toybots and Nicktoons MLB. Tommy, Angelica and Reptar appear as playable characters in the video game Nickelodeon Kart Racers. Rugrats – A Live Adventure was a show about Angelica's constant attempts to scare Chuckie. To help Chuckie combat his wide range of fears, Tommy invents a magic wand called the "People-ator" to make Chuckie brave. Angelica, however, wants Chuckie to stay scared, so she steals Tommy's wand. The Rugrats try to get it back but to no avail. Angelica becomes Princess of the World. Eventually, Chuckie becomes brave thanks to the help of Susie, Mr. Flashlight and the audience. Many songs were included in the play, including the theme song. Despite some criticism, the show was well received. The show had two 40-minute acts, with a 20-minute intermission (or a commercial break). Merchandise that was based on Rugrats varied from video games, toothpaste, Kelloggs' cereal to slippers, puzzles, pajamas, jewelry, wrapping paper, Fruit Snacks, Inflatable balls, watches, pens, pencils, markers, cookie jars, key rings, action figures, My First Uno games, and bubblegum. The show also managed to spawn a popular merchandise line at Walmart, Kmart, Target, eBay, Hot Topic, J. C. Penney, Toys "R" Us, Mattel, Barnes & Noble, and Basic Fun. By March 1999, the franchise had generated an estimated $1.4 billion in merchandise sales. The Rugrats had their own cereal made by Post called Reptar Crunch Cereal. The Rugrats and Reptar were predominantly featured on the front, there's a board game on the back and a special $3 rebate for Runaway Reptar on the side. This cereal was released for a limited time only, sold at US supermarkets 8/1/99 to 9/15/99 only, and not all supermarkets carried the cereal. To memorialize the movie, Rugrats in Paris, another Rugrats-based cereal came out in October 2000. Simply called the Rugrats in Paris Cereal, it has a similar appearance to Trix; it's a sweetened, multi-grain cereal with small-round bits in plain, red, purple and green. Small Eiffel Towers could also be seen. In 2017, entertainment retail store chain FYE began selling Reptar Cereal, as well as Reptar Bars, both based on fictional products within the show. Reptar Cereal is very similar to Froot Loops, and Reptar Bars are chocolate bars filled with green frosting, a reference to the show in which the bars would turn the tongues of whoever ate it green. Rugrats made fast-food appearances as well, with the most appearances being on Burger King. In 1994, the Hardee's fast-food chain offered a collection of Nicktoons toys as premiums that were included with kids' meals at their restaurants. All 4 Nicktoons at that time were featured — Doug, Rugrats, Ren & Stimpy, and Rocko's Modern Life. Other food items that feature Rugrats were Fruit Snacks, Macaroni and Cheese, Bubble Gum and Campbell's Rugrats Pasta with Chicken and Broth. In their first tie-in with Burger King, 5 Rugrats toys were offered with their Kids Club meals, a different one with each meal. Each toy came with a 12-page (including covers) miniature version of Nickelodeon Magazine, which featured the toy's instructions, word search, picture puzzle, "Say What? ", a scrambled word puzzle, a coupon for Oral-B Rugrats toothpaste and toothbrush, and entry blanks to subscribe to Rugrats Comic Adventures, Nick Magazine, and the Kids Club. From 1998 until 2004, Rugrats based-products included watches and various toys. In 2012, co-creator Arlene Klasky stated that, if Nickelodeon asked Klasky Csupo to, she would be more than happy to produce new episodes of Rugrats and bring it back for a tenth season. On September 2, 2015, it was announced on Variety that Nickelodeon may "seek to experiment with retooled versions of classics" that could include Rugrats. The following day, The Independent announced that "Rugrats could soon be back on our screens too". In July 2016, it was revealed that Nickelodeon was in talks with Klasky Csupo and Paul Germain about a possible revival of the series. On August 4, 2016, Arlene Klasky stated that she would be willing to work on a revival of the series, along with co-creators Gabor Csupó and Paul Germain. On August 8, 2016, two of Rugrats' three creators stated that they agreed there was definitely a way to bring the baby adventures of Tommy, Chuckie, Phil, Lil and Angelica back – although they differ on how. Co-creator Paul Germain says it's a possibility if Nickelodeon is so inclined. "It's completely up to them, but I think it could be interesting," he told EW. The hitch here is Germain, who was largely the creative voice of Rugrats once it went to series, left after the original order of 65 episodes. "A lot of the direction that they took the show in after I left in 1993 – the second 65 episodes and then the All Grown Up series – I thought those episodes were poor. I thought they lost the spirit of it. I think the way to go [for a reboot] would be to take it back to where it was. I don't know if we could really do that, but that's what I would like to see. I think it's possible." Arlene Klasky, who co-created the show with Gabor Csupó and Germain, but left showrunning to the latter, said a revival is something she and Csupo "think about, 100 percent." But Klasky and Germain would disagree on one of the first fundamental questions that would face Rugrats, just as it faces every reboot: whether the show should acknowledge the passing of time and, in the case of this show, how technology has seeped its way into child-rearing. Germain says he'd rather keep a Rugrats reboot as a time capsule. "One of the things I think might be fun would be to just make the show a retro '90s show," he says. "I think that'd be cool. Cell phones can be interesting, but technology has a funny way of making it very difficult to write around because people are always in constant communication with each other in a way that works against drama. It takes a really fun writers' obstacle away and makes it too easy." In October 2016, a Nickelodeon senior vice president stated that Rugrats was one of many fan-favorite franchises being considered for a revival. "Nickelodeon is going to look at the rich library they have, and not just Rugrats," Michael Sammaciccia said, in response to a fan question. On July 16, 2018, it was announced that Nickelodeon had given a series order to a 26-episode revival of the series, executive produced by Klasky, Csupó and Germain. It was further announced that Paramount Pictures had greenlit a live-action/CGI hybrid feature film and that it is set for a January 29, 2021 release date. Originally, it had been set for a November 13, 2020 release, and then was pushed back, with Clifford the Big Red Dog taking its old slot. ^ Swartz, Mimi (November 30, 1998). "You Dumb Babies". The New Yorker. Retrieved August 18, 2017. ^ "Watch Rugrats Episodes : Season 9". TVGuide.com. August 18, 2017. Retrieved August 18, 2017. ^ Brownfield, Paul (August 16, 1998). "Talk About A Baby Boom". The Los Angeles Times. Retrieved November 10, 2010. ^ Heffley, Lynne (July 21, 1996). "View From the Rug Up : 'RUGRATS,' NICKELODEON'S ANIMATED HIT, LOOKS AT WORLD THROUGH EYES OF A TODDLER". The Los Angeles Times. Retrieved November 10, 2010. ^ "Rugrats - TVGuide.com". TVGuide.com. Retrieved June 28, 2016. ^ Goldberg, Lesley (July 16, 2018). "'Rugrats' Revived at Viacom With New Nickelodeon Series, Feature Film". The Hollywood Reporter. Retrieved July 16, 2018. ^ Andreeva, Nellie; Petski, Denise (July 16, 2018). "'Rugrats' Returns With Nickelodeon Series Revival & Live-Action Paramount Movie". Deadline. Retrieved July 16, 2018. ^ "Tommy's First Birthday". Rugrats. Season 1. Episode 1. August 11, 1991. Nickelodeon. ^ "Graham Canyon/Stu-Maker's Elves". Rugrats. Season 1. Episode 13. May 24, 1992. Nickelodeon. ^ "Vacation". Rugrats. Season 4. Episode 3. July 8, 1997. Nickelodeon. ^ "No Bones About It/Beach Babies". Rugrats. Season 2. Episode 9. November 1, 1992. Nickelodeon. ^ "Baby Commercial/Little Dude". Rugrats. Season 1. Episode 4. September 8, 1991. Nickelodeon. ^ Mimi Swartz (November 30, 1998). "You Dumb Babies!". Print. The New Yorker. Retrieved March 4, 2013. ^ "Meet the Carmichaels/The Box". Rugrats. Season 2. Episode 18. January 10, 1993. Nickelodeon. ^ Gaines, Caseen; Klickstein, Mathew (June 16, 2016). "The Oral History Of 'Nicktoons', Part III: Exploring The Multigenerational Appeal Of 'Rugrats'". Decider | Where To Stream Movies & Shows on Netflix, Hulu, Amazon Instant, HBO Go. Archived from the original on March 8, 2017. Retrieved June 25, 2016. ^ Richmond, Ray (January 20, 1997). "Numbers game puts Nick way out front". Variety.com. Retrieved August 20, 2017. ^ "The New Yorkers Facts About Rugrats". Archived from the original on March 14, 2012. ^ "'SpongeBob' Renewed for 26 Episodes". The Wrap. December 15, 2009. Retrieved December 16, 2009. ^ Oliver, Myrna (March 1, 1997). "David Doyle; Actor on 'Charlie's Angels'". Los Angeles Times. Retrieved September 21, 2014. ^ "The rugrats FAQ". Archived from the original on January 5, 2011. ^ "Rugrats DVD news: Pre-order – Season 1 from Amazon". TV Shows on DVD. Archived from the original on June 4, 2009. Retrieved May 25, 2009. ^ "Rugrats DVD news: Announcement for Rugrats – Season 3 and Rugrats – Season 4". TVShowsOnDVD.com. Archived from the original on December 18, 2011. Retrieved August 12, 2012. ^ "Rugrats DVD news: Announcement for Rugrats – Season 5". TVShowsOnDVD.com. May 25, 2007. Archived from the original on October 17, 2011. Retrieved August 12, 2012. ^ "Rugrats DVD news: Announcement for Rugrats – Season 6, Season 7, Season 8, Best of Season 9". TVShowsOnDVD.com. May 25, 2007. Archived from the original on August 9, 2012. Retrieved August 12, 2012. ^ "Rugrats DVD news: Update about Rugrats — Season 2 and Rugrats — Season 9 - TVShowsOnDVD.com". tvshowsondvd.com. Archived from the original on July 21, 2015. Retrieved August 13, 2015. ^ J's Blu-Rays (February 28, 2017). "Rugrats Season DVD Sets OUT OF PRINT ON AMAZON???" – via YouTube. ^ "Rugrats DVD news: General Release for Season 1 and Season 2 -TVShowsOnDVD.com". Tvshowsondvd.com. Archived from the original on August 20, 2017. Retrieved August 20, 2017. ^ "Rugrats - 'Season 3' and 'Season 4' DVDs to 'Go Wide' at General Retail". TVShowsOnDVD.com. Archived from the original on November 30, 2017. Retrieved November 29, 2017. ^ "Rugrats Holiday Celebration (Halloween/Turkey & Mistletoe): Elizabeth Daily, Christine Cavanaugh, Nancy Cartwright, Michael Bell, Melanie Chartoff, Kath Soucie, Cheryl Chase, Joe Alaskey, David Doyle, Jack Riley, Tress MacNeille, Phil Proctor, Barry Vodos, Celia Kendrick, Craig Bartlett, Dave Fontana, Howard E. Baker, Igor Kovalyov, Jeff McGrath, Jim Duffy: Movies & TV". Amazon.com. Retrieved August 12, 2012. ^ Rugrats Trilogy Movie Collection. "Rugrats Trilogy Movie Collection: Elizabeth Daily, Christine Cavanaugh, Nancy Cartwright, Michael Bell, Melanie Chartoff, Kath Soucie, Cheryl Chase, Joe Alaskey, David Doyle, Jack Riley, Tress MacNeille, Phil Proctor, Barry Vodos, Celia Kendrick, Craig Bartlett, Dave Fontana, Howard E. Baker, Igor Kovalyov, Jeff McGrath, Jim Duffy: Movies & TV". Amazon.com. Retrieved August 12, 2012. ^ Rugrats: Halloween. "Rugrats: Halloween: Artist Not Provided: Movies & TV". Amazon.com. Retrieved August 12, 2012. ^ "Spielberg Toons in." TV Guide. October 28, 1995. 33. ^ "92, Rugrats". IGN. January 23, 2009. Archived from the original on January 19, 2009. Retrieved January 23, 2009. ^ Shattuck, Kathryn (July 15, 2001). "FOR YOUNG VIEWERS; TV's No. 1 Babies Celebrate Their 10th Birthday". New York Times. Retrieved August 12, 2010. ^ Mifflin, Lawrie (November 25, 1998). "TV NOTES; First Lesson in Hype". New York Times. Retrieved August 12, 2010. ^ Schmuckler, Eric (August 30, 1998). "TELEVISION; In 'Rugrats,' Babies Know Best". New York Times. Retrieved August 12, 2010. ^ Mifflin, Lawrie (November 30, 1997). "COVER STORY; When Grown-Ups Let Children Have a Say". New York Times. Retrieved August 12, 2010. ^ a b "Marketing The Rugrats' Tenth Anniversary". Rugratonline.com. Archived from the original on March 14, 2012. Retrieved August 20, 2017. ^ "Rugrats on TV.com". Tv.com. Retrieved 2017-08-20. ^ "TV Guide Issues Featuring Rugrats". Rugratonline.com. Archived from the original on August 30, 2012. Retrieved August 20, 2017. ^ Charisma, James (January 4, 2017). "The 75 Best TV Title Sequences of All Time". Paste (magazine). Retrieved January 16, 2017. ^ "Meet The Nicktoons Family". Rugratonline.com. Archived from the original on June 23, 2012. Retrieved February 6, 2013. ^ "What the Stars Said About 'Rugrats'". Rugratonline.com. Archived from the original on March 14, 2012. Retrieved August 20, 2017. ^ a b Danny Goldberg, Dispatches from the Culture Wars: How the Left Lost Teen Spirit (New York: Miramax Books, 2003), 197. ^ a b c d e f g "All Winners". Nick.com. Nickelodeon. Retrieved May 25, 2013. ^ a b c d e "Rugrats". Emmys.com. Academy of Television Arts & Sciences. Retrieved April 22, 2013. ^ "Rugrats, 'All That' Win Kids' Awards". The Los Angeles Times. May 3, 1999. Retrieved November 10, 2010. ^ "Rugrats- Hollywood Star Walk- Los Angeles Times". ^ "Wizard Magazine's Top 100 cartoons list". ^ "Rugrats News & Other Little-Known Facts – Part 2". RugratsOnline. Retrieved April 22, 2013. ^ "TV Guide's 50 greatest cartoon characters of all time". CNN.com. Time Warner. July 30, 2002. Retrieved April 22, 2013. ^ "TV Guide magazine's 60 greatest cartoons of all time". Fox News.com. September 24, 2013. Retrieved September 29, 2013. ^ Nichols, Peter M. (June 20, 2003). "Diaper-Clad Adventurers Heed the Call of the Wild". New York Times. Retrieved August 12, 2010. ^ a b "Nickelodeon Upfront 2002". Nickandmore!. March 12, 2002. Retrieved January 19, 2019. ^ Petrozzello, Donna (March 13, 2002). "'Rugrats' Family Growing Spinoff 'Angelica' among 5 new Nick series". New York Daily News. Retrieved January 19, 2019. ^ a b Oei, Lily (September 26, 2002). "'Rugrats' grows up". Variety. Archived from the original on December 31, 2018. ^ a b c "Angelica and Susie's Preschool Daze". Amazon. Archived from the original on February 26, 2015. ^ a b "'Angelica and Suzie: Preschool Daze". TV Guide. Retrieved January 20, 2019. ^ "Rugrats. Tales from the crib : snow white". WorldCat. Retrieved January 20, 2019. ^ "Rugrats, tales from the crib. Three Jacks & a beanstalk". WorldCat. Retrieved January 20, 2019. ^ a b "Rugrats Pre-School Daze". iTunes Store. Archived from the original on March 5, 2016. ^ Steinberg, Brian (September 2, 2015). "'Rugrats' Revival? Nickelodeon Mulls Return of Classic Shows". Variety. Archived from the original on October 24, 2016. ^ DeMott, Rick (July 15, 2001). "Nick Announces Rugrats Spin-Off". Animation World Network. Archived from the original on August 10, 2016. ^ "Rugrats—A live Adventure". Rugratonline.com. Archived from the original on March 12, 2013. Retrieved August 20, 2017. ^ "Rugrats Hit the Road by Ron Mac Farlane". ^ "Rugrats For Sale". Rugratonline.com. Archived from the original on March 14, 2012. Retrieved August 20, 2017. ^ Michael, Stroud (March 8, 1999). "Rugrats romp and roll" (PDF). Broadcasting & Cable. NewBay Media. p. 46. Retrieved March 4, 2017. ^ "Breakfast with Rugrats: The kids On The Cereal Box". Rugratonline.com. Archived from the original on March 14, 2012. Retrieved August 20, 2017. ^ "Rugrats Foods". Rugratonline.com. Archived from the original on December 26, 2012. Retrieved August 20, 2017. ^ ""Burger King Rules", And So Does Rugrats". Rugratonline.com. Archived from the original on September 4, 2012. Retrieved August 20, 2017. ^ Steinberg, Brian (September 2, 2015). "'Rugrats' Revival? Nickelodeon Mulls Return of Classic Shows". Variety.com. Retrieved August 20, 2017. ^ "Hey Arnold! is coming back, and possibly Rugrats too". Independent.co.uk. September 3, 2015. Retrieved August 20, 2017. ^ "Could The Rugrats Return To Nickelodeon? Here's What The Creator Says". Cinemablend.com. July 21, 2016. Retrieved August 20, 2017. ^ "Rugrats: Could the Characters Be Returning to Nickelodeon? - canceled TV shows - TV Series Finale". Tvseriesfinale.com. July 27, 2016. Retrieved August 20, 2017. ^ Serrao, Nivea (October 3, 2016). "Rugrats revival still a possibility, says Nickelodeon VP". Entertainment Weekly. ^ Venable, Nick. "Could The Rugrats Return To Nickelodeon? Here's What The Creator Says". CinemaBlend. Retrieved August 4, 2016. ^ "Nicktoons creators talk 'Rugrats,' 'Doug,' 'Ren & Stimpy' reboots". Ew.com. August 8, 2016. Retrieved August 20, 2017. ^ "Rugrats revival still a possibility, says Nickelodeon VP". Yahoo.com. Retrieved August 20, 2017. ^ "Paramount Pushes Back 'Rugrats' Movie Release Date Until Friday, January 29, 2021". NickALive!. Retrieved February 27, 2019. Rugrats at Don Markstein's Toonopedia. Archived from the original on February 9, 2017.